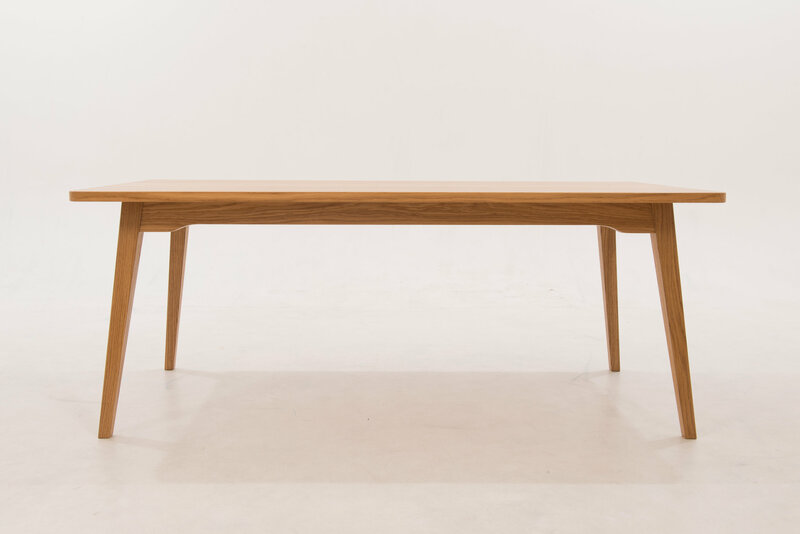 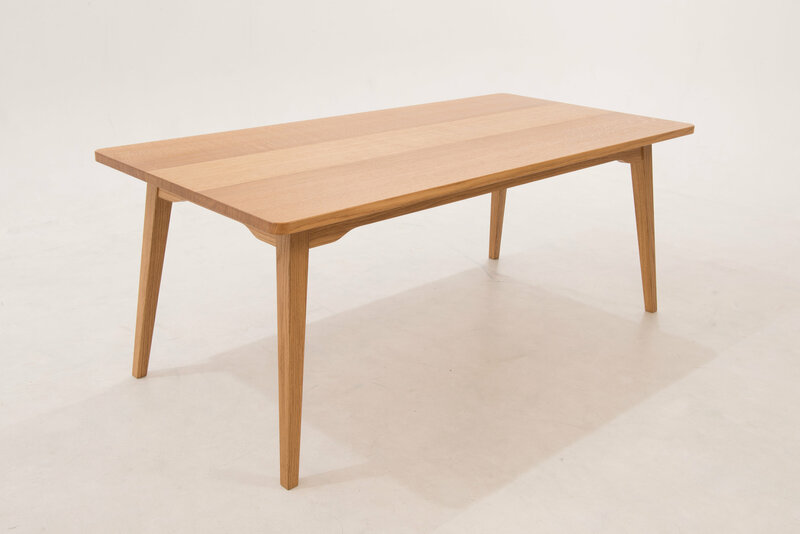 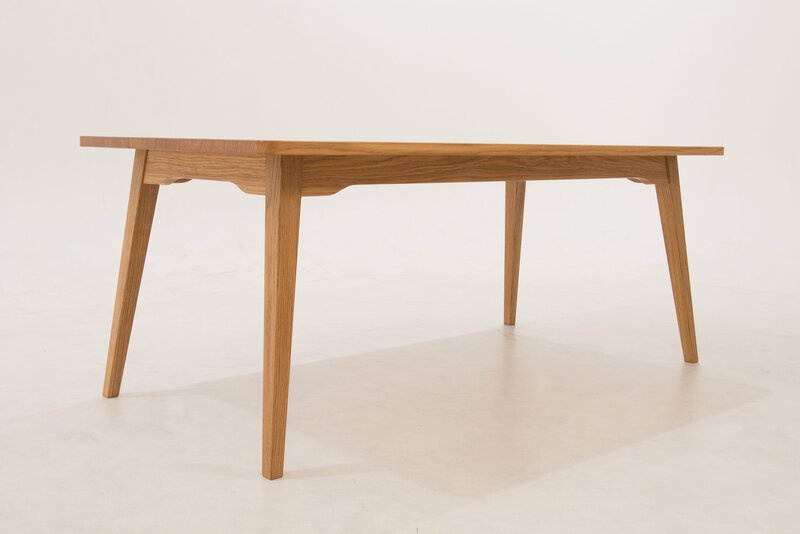 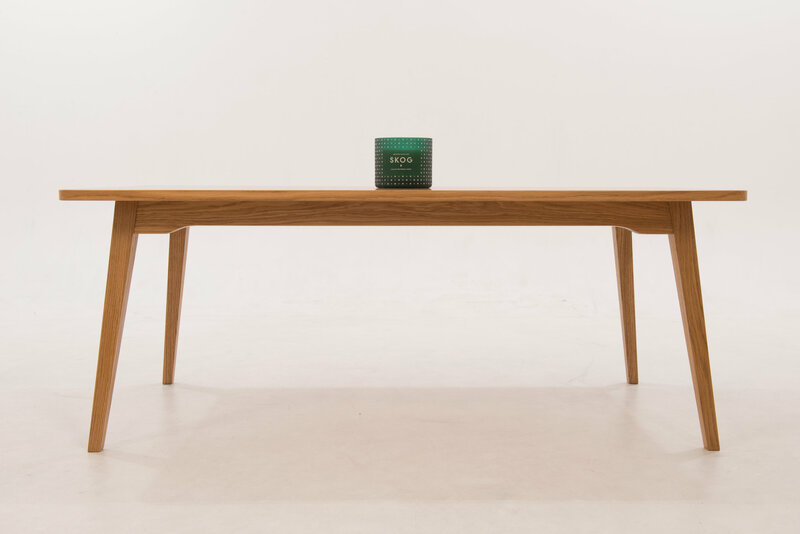 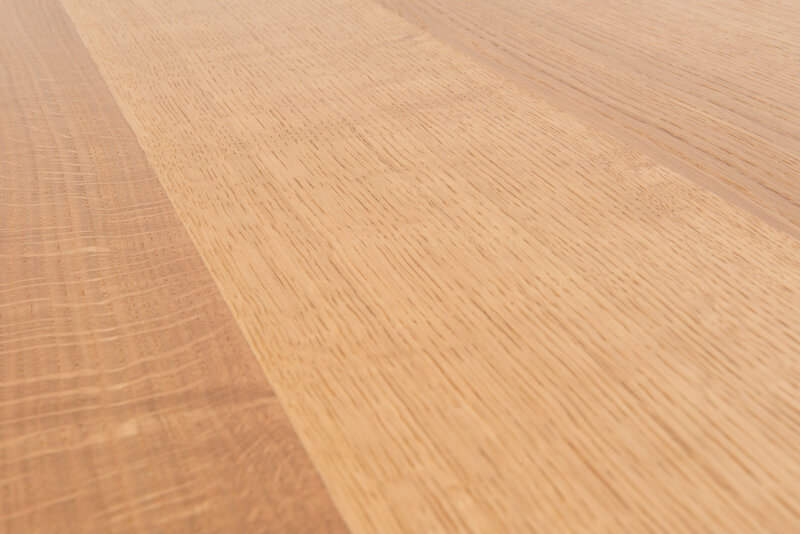 This table stands elegantly proud with precise flowing rails, tapered legs and quatersawn Oak top. 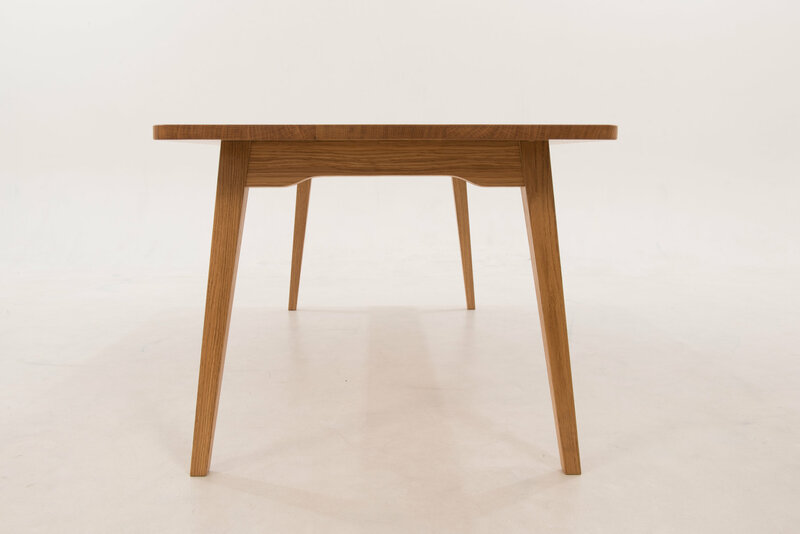 Also available in Solid Ash and Black Walnut. 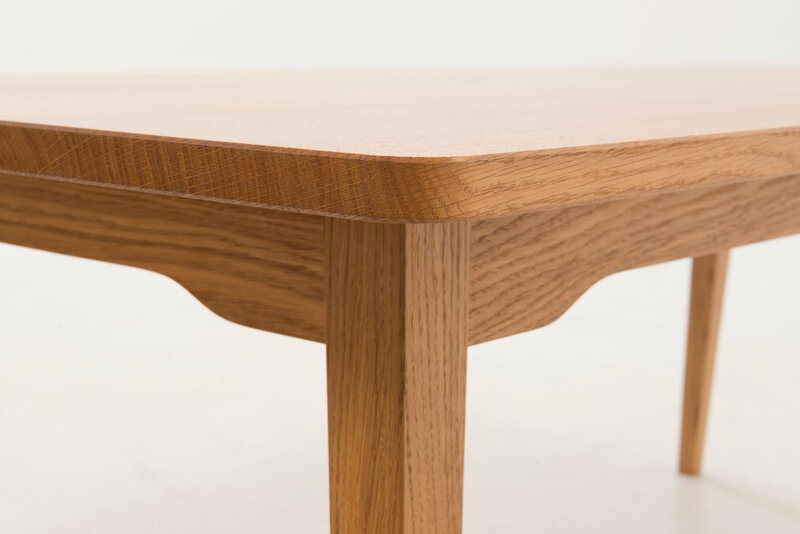 Custom sizes and bespoke materials available on request.